Overcome life: Ren Ri 人日 Happy Birthday everyone! Ren Ri 人日 Happy Birthday everyone! According to Chinese belief, today is everyone's Birthday. They call it "Ren Ri - 人日". 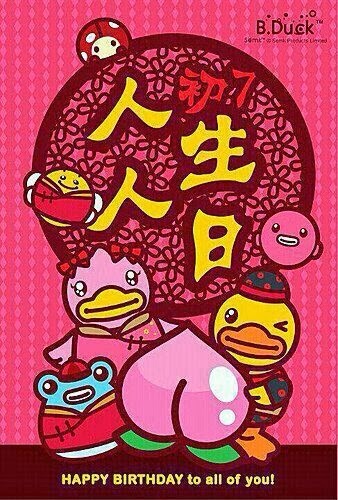 It falls every 7th day of first month in Lunar calendar.